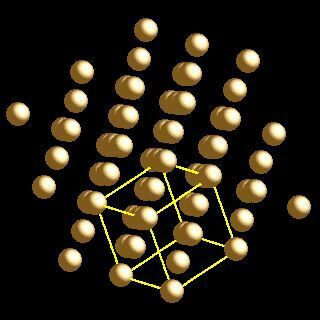 Gold crystal structure image (ball and stick style). 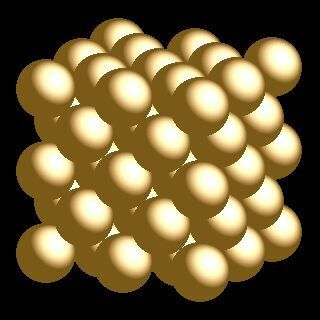 Gold crystal structure image (space filling style). A. Maeland and T. B. Flanagan, Can. J. Phys., 1964, 42, 2364.